Air India has reported a modest operating profit of Rs 105 crore during the previous financial year ending 2015-16. This is the first time in a decade that the airline has used the word “profit” while reporting annual results and also the first time since the two erstwhile airlines were merged to form the present entity. The operational profit also comes two years ahead of the target as per Air India’s turnaround plan under which it will receive about Rs 30,000 crore in dole from the government. For all the firsts associated with this operational profit, it is a significant milestone for the ailing national carrier. In fact, Air India's feat found a mention in Prime Minister Modi's Independence Day speech this year. But the PM must not be in a hurry to pat himself on the back just yet. First, this is operational profit and the airline returned a significant net loss during the year under review - in fact, with Rs 3,587 crore, this comes to about Rs 10 crore net loss every single day. Secondly, lower fuel prices served as one of the main reasons for this happy state of affairs. If these begin to rise, a modest operational profit will quickly evaporate. 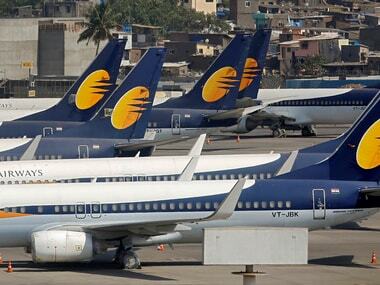 Civil Aviation minister A Gajapathi Raju had earlier informed Lok Sabha in the Budget Session that the airline could turn in an operational profit of Rs 8 crore in the last fiscal. However, this figure has now improved to Rs 105 crore, against an operational loss of Rs 2,636 crore during 2014-15. Earnings before Interest, Depreciation Tax and Amortisation improved to Rs 3,587 crore from Rs 1,436 crore during 14-15. Air India’s total revenues stood at Rs 20,526 crore against Rs 20,613 crore in 2014-15. The airline carried 18 million passengers during 2015-16, a growth of 6.6 percent. Sources also indicated that the net loss after interest stood at Rs 3,837 crore for FY16 against Rs 5,859 crore in the previous year. And herein lies the crux of all that is wrong with cheering the operational profit that Air India has declared proudly. 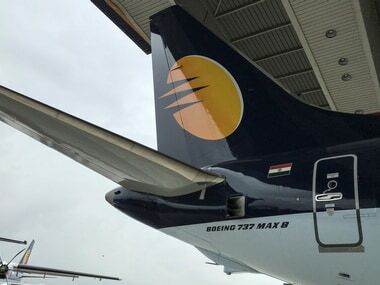 Besides, as per this story in the Economic Times, the airline has again missed the target for a modest operational profit for the first quarter of the current fiscal and posted a loss. 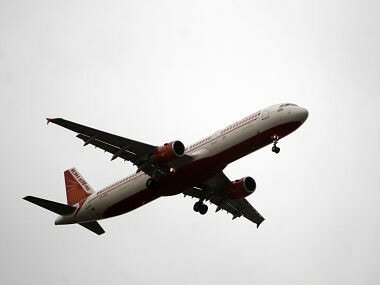 Fuel saved the blushes: As per the data given in Parliament during the Monsoon Session, Air India saved close to 9 percent or about Rs 720 crore on fuel costs alone in 2015-16. As per results declared last week, the operating cost per ASKM (available seat kilometer) came down from Rs 4.59 in 2014-15 to Rs 3.88 in 2015-16 or by 15.5 percent due to decline in fuel prices. Fuel expenses may have accounted for about 30 percent of the airline’s total expenses during the fiscal. So, not many cost initiatives, but savings from benign global crude prices saved it the blushes in 2015-16. This means when global crude prices do begin to rise, Air India's operating profit will also get squeezed significantly unless it takes a giant stride in improving other operational parameters. The airline flew at least a million more revenue passengers last fiscal at 18 million versus 16.88 million in 2014-15. Losses pile up: According to data provided in the Parliament, Air India's losses stood at Rs 5,490.16 crore, Rs 6,279.6 crore and Rs 5,859.91 crore in 2012-13, 2013-14 and 2014-15, respectively. For FY16, the net loss was close to Rs 4,000 crore. While fuel accounts for the single largest cost head, employee expenses also account for close to 10 percent of total costs. In other words, 10 paise out of every rupee spent by AI is used to pay employee salaries. This, when the airline has already hived off two subsidiaries - one for ground handling and another for engineering - and also halved the total manpower. Besides this, the airline is also on a hiring spree too, taking in more cabin and cockpit crew. Debt worries remain: Air India accounts for the largest share of Indian airlines’ total debt pile. The airline was sitting on borrowings of over Rs 51,000 crore till March 31, 2015. 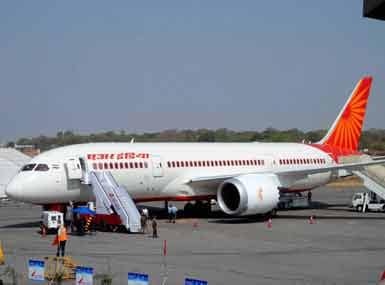 MoS Aviation Mahesh Sharma said in Parliament in March that Air India's total debt burden of Rs 51,367.07 crore includes Rs 22,574.09 crore outstanding on account of aircraft loans. As per the Turnaround Plan (TAP), the equity infusion by the Government into Air India also includes Rs 18,929 crore for the repayment of the government-guaranteed loans/interests till FY 2020-21. Air India’s interest bill alone for FY16 is estimated to be around Rs 3,700 crore! Since government is the owner of Air India, the airline seems to have a perpetual cushion to fall back on, something no private airline can boast of. So a modest operating profit is good news but provides little relief on the airline's actual financials. Now, among the desperate measures Air India is working upon to reduce the debt is an offer of equity to lenders, something it has already asked SBI Caps to explore. The question is, why would any lender want a minority equity in a the government-owned airline in lieu of bringing in funds to retire debt, when the airline continues to bleed? Privatisation: This government has blown hot and cold over any move to consider offloading the white elephant called Air India. Sources tell us there is stiff opposition from the top management of the airline over any such move. This can only spell disaster for the airline, which has been guzzling public money at an alarming rate. This piece shows why Chairman and MD Ashwani Lohani thinks selling off Air India is a bad idea and instead the airline should be allowed to operate in a “level playing field”. Last year, the independent directors on the board of the airline had met minister Raju to convince him about the need to privatise Air India. In March this year, the heavy industries ministry had created a flutter by classifying Air India as "sick", reviving a discussion on whether the government should get Air India off its hands as its financial situation is not improving despite continuous equity support. At that time, airline officials had said that there has been some talk of initiating the process of privatisation by starting with two businesses which were earlier spun off from the airline - engineering and ground handling. They had said then that Air India Express could also be considered under this scheme. A proposal to recommend privatisation of Air India has been discussed informally at several board meetings of the airline - a subject usually taken by its independent directors - but no formal resolution has been drafted in this regard. Now that AI is operationally profitable, time is ripe for at least a discussion over privatisation. Image problem: Air India suffers from an image problem due to service standards, frequent delays and engineering issues. According to DGCA data for August, Air India continued to have top ranking in the complaints' register among scheduled national airlines with 31,682 passengers affected due to various issues like denied boarding, delays and cancelled flights on the domestic sector. 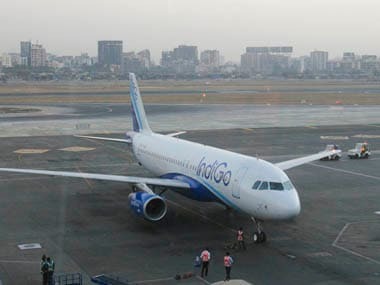 Though the airline has less than half the share of the domestic market compared to IndiGo, the number of people affected due to flight delays was almost five times that of IndiGo passengers similarly affected. For its operational performance and therefore revenues to improve, these image issues need to be settled.